Tillandsia juncea in a slightly artsy pose. With blooms! Tillandsia didisticha is a Brazilian epiphyte in the Bromeliad family. These branched inflorescences are what we in the trade call, “stunning”. However I warn you that they’re too big to put in a small terrarium, as much as you want to. CactGuy has gotten around to marrying Dinosaurs and Airplants. 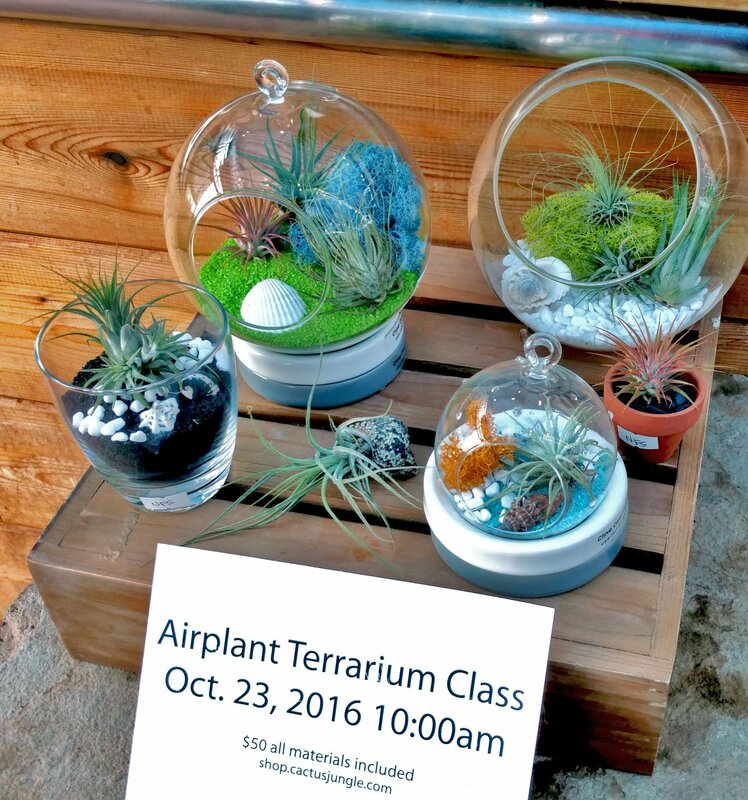 Dinosaurs and airplants…. My favorites! Why, they should be in a museum! I took this picture on Rikki’s back. She’s wearing a black hoodie! A very nice black backdrop. And here’s some natural outdoor sunshine. Planter by JFish, Jennifer Fisher Ceramics. The secret of how I display Airplants in my own home. That’s Bob’s fish tank in the background. Bob; that is the fish is Bob. It had to happen. We’ve run out of posts for this new holiday I invented, Tillandsia Weekend, so it’s a good thing it’s Sunday. Tillandsia stricta “Silver Star” is the last one. THE LAST ONE! Clearly I saved the best one for last. You can thank me now, or come by the store and buy them all. Every last one of them. I would appreciate it if you did. I would. 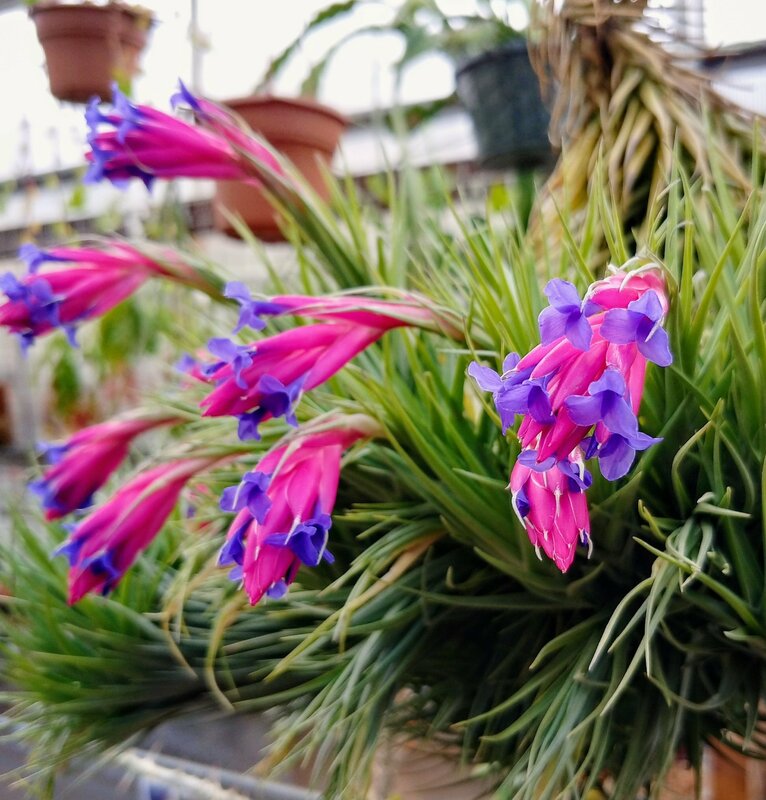 OMG it’s already Sunday and it’s still Tillandsia Weekend around here at the Cactus Blog. Tillandsia kolbii is GORGEOUS! Pretty little thing. Still not as popular though as T. ionantha “Guatemala” which is similar looking but WAY more popular. LULZ! I think I’m getting giddy from all these Airplants this weekend. GIDDY! ROTFL! Today is the 2nd day of our Tillandsia Weekend Holiday, so that makes it Tillandsia Saturday. Tillandsia aeranthos x bergeri is a hybrid between two very different species. Can you guess what those two species are? I knew you could. I declare today to be the first day of a three day holiday to be known henceforth as Tillandsia Weekend. Come celebrate with me. First up is a bloomer. Tillandsia tenuifolia “Blue”. 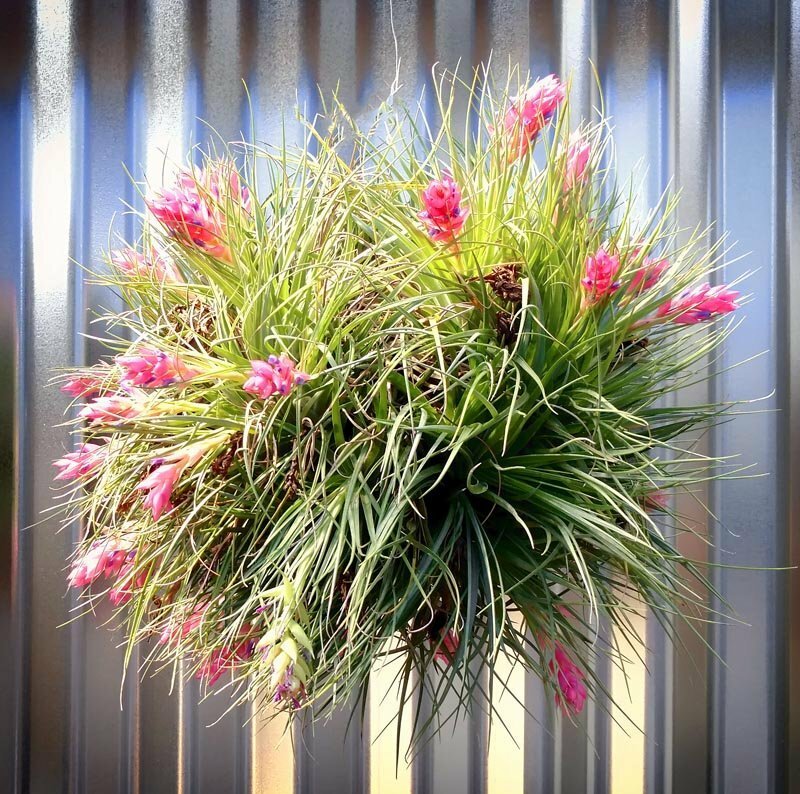 This is an easy one to grow and easy to get to bloom and its inexpensive too, so this would qualify as a starter Airplant. On the other hand the plant isn’t as pretty or unusual as some others. So that’s the choice you have to make. I have finally gotten it all together and we now have a page for Airplants for the Bay Area. It’s not a very complete page yet since I have lots of photos to take. It could take awhile to get the rest of the tillandsias photographed.